I’m proud to be recognized and endorsed by the Greater Fort Lauderdale Realtors Association. 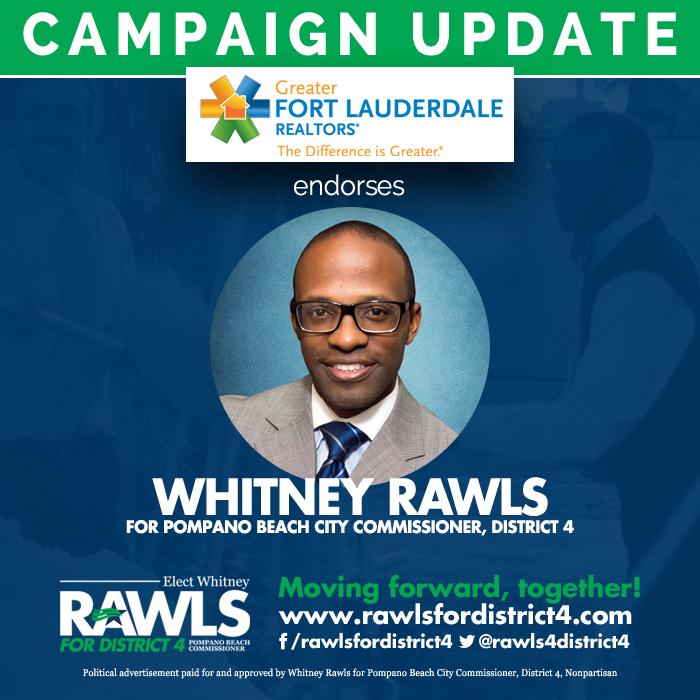 I believe their endorsement is a testament to my vision and plan for responsible redevelopment that places the needs of people first and grows local small businesses. I encourage development and redevelopment, particularly when our community has a direct and tangible benefit. The Greater Fort Lauderdale Realtors Association supports their members, of which, many are small business owners, by providing resources to help them grow. That’s a concept that aligns with my desire to provide resources for District 4’s small businesses and our residents. It’s a concept that often goes missing during the administration of government.